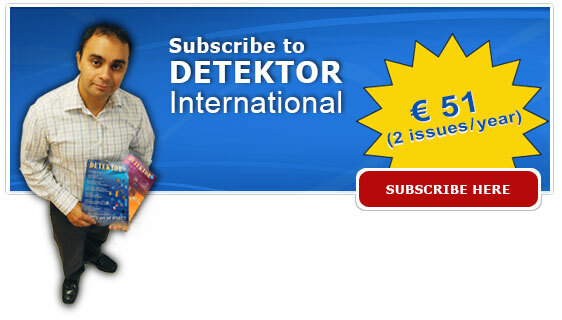 From an advertising point of view Detektor International has much to offer for active suppliers of products and services. The publication has a global distribution, through subscription and through distribution at international security fairs all over the world. As a result, Detektor International offers great potential opportunities to help companies within the industry to realise their exporting objectives. Detektor International give unique possibilities for export minded companies to reach out to potential buyers worldwide. * Successfully launch new products. * Maximize the value of company profile marketing. * Find new buyers, distributors and business partners. * Support existing distributors and partners. * Publishing week means that the magazine´s distribution starts during that period of time. Due to the different geographical location of the subscribers, the delivery time for the magazine may differ by up to 10 days, depending upon the speed of the postal service within each country.